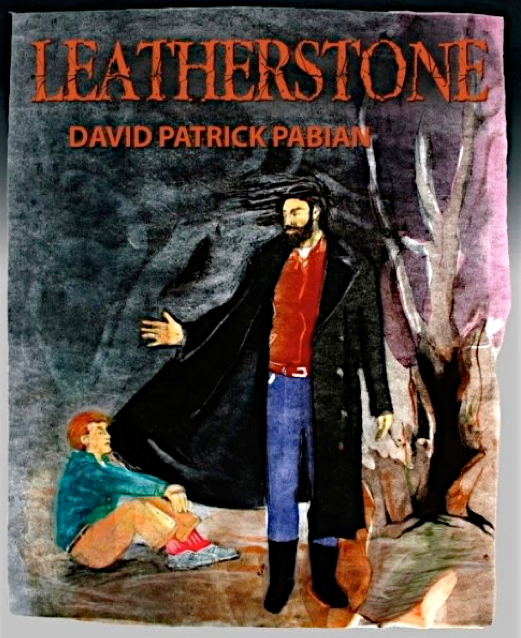 David Pabian's shrewd and eerie novel, "Leatherstone," brings the Frankenstein monster back to life and reanimates the classic tale with a jolt of electricity, a feat that, previously, only James Whale had achieved. He does it by updating Mary Shelley's story of creation and loss of control by setting his cautionary tale against the same societal convulsions that had animated the original great monster of a novel. Pabian plays with fire, as Mary Shelley did, grabs a bolt of electricity from a darkened sky, from the hands of Zeus himself, and illuminates a world that is "losing it." Here, we are in Pabian's vividly realized mid-century America transported once again to a fading empire. A whole society is losing control, unmoored in uncharted waters, sailing to the edge of the earth. Brilliant flashes of lightning, Pabian's clean, vivid prose, gives us glimpses of a world going "who knows where," spinning out of control. A young boy floundering in this turbulent society finds a longed for monster in the dark woods and brings him back to life. The "born again" hulk, sexually alive, disturbs the boy and the reader. Left alone in the woods the monster may well have died, but his reanimation creates nightmares for the creator as well as the created. Terrifyingly, for the boy, his audacious act gives birth to a monster within. As it must. Pabian's second great achievement is to blend the voice of a troubled youngster with the mature voice of a grown man looking back. Each is convincing while both are magically separate and united, just as the monster and the boy are in this terrific, continuing tale of human horror: life, death and rebirth.